My dad knew the beauty of dust. Even before he was sick and death could be denied, my dad knew what would happen to his dust. My father's instructions were clear. He would be cremated and had specific directions on where to scatter his dust. A table spoon of his ashes to be precise. Three locations brimmed with the holiness where he wished his ashes to rest. In Buffalo, New York, his home town. He wanted the ashes spread at his school and his home. The places where he learned to love and be loved. The places where he was challenged. The places that defined him as the man he would become. Almost every visit to Buffalo, my dad would take me past his school and to the home where he and his four siblings were raised. The fondest memories were shared of games outside through the summer months, working on cars with his dad, and telling stories with his brother late at night under the covers. His father's family came from Nebraska and there also his ashes would lie. I heard the stories my dad shared of his father's life growing up in the flat, beautiful land of Nebraska. I knew my dad's love for the stretching skies and vast prairies. And finally, the final resting place for his ashes - my first call congregation. You see, not only in his life but in his death, my dad knew the hope and beauty of dust. The instructions for his ashes were written well before I even finished seminary, let alone knew where and how God was calling me in ministry. But my dad knew intimately that "God makes beautiful things out of us, from the dust." Ash Wednesday is approaching. That tender, solemn day in the church where we gather to reflect on death. Communities gather to feel the ashen cross on their foreheads and to hear the words, "Remember that you are dust and to dust you shall return." We feel the ashes. We see them. We fear them. We remember the deaths of loved ones. We reflect on our own deaths. Ash Wednesday brings us to our knees. Humbled and vulnerable. We remember the place we've been and think towards the places we'll go - and all the beautiful things God will make out of each of us. On this day of ashes and dust and remembrance, the sign of the cross on our foreheads reminds us of the cross from our baptisms. Not unlike our baptism, as a vulnerable and humble baby, the crosses of Ash Wednesday remind us that we make mistakes. That we are mortal and that we need forgiveness. The water at our baptism washes over us with a love and grace stronger than anything we can imagine and greater than any mistake we've made, stronger than even death. It's a love that claims us from the beginning, embraced by the arms of God, and doesn't let go even when our life on earth ends. 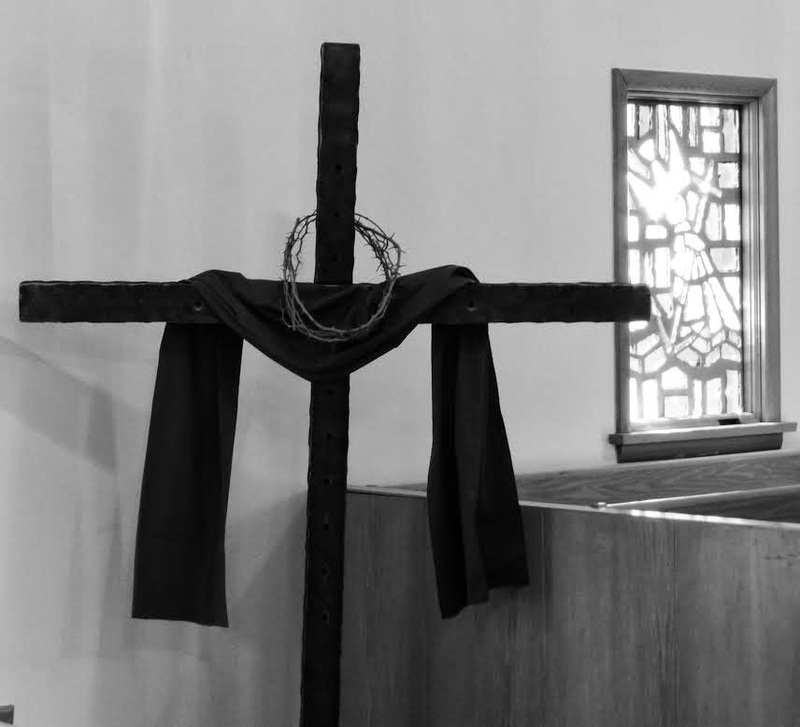 On Ash Wednesday when the ashes are marked on our foreheads, when we feel the ash, remember the darkness, and reflect on death, we know intimately that the One on the cross was made of the same dust as us. That the One who walked to the cross and claimed us at baptism, walked the same dusty, earthen land. Out of the dust, beauty rises. Out of the dust, hope emerges. I never imagined that I'd celebrate Ash Wednesday holding the memory of my father's ashes. I never imagined that the beauty and grace enfleshed in my father, would be only ashes. "Remember that you are dust and to dust you shall return. And from the dust, God makes beautiful things out of us. Thanks for stopping by, Mary Beth!